Provide comfort for the family of Donald Ennis with a meaningful gesture of sympathy. Donald Maurice Ennis, aka “Duck”, was born on August 6th, 1962 to Donald Jackson and Nancy Ennis, and stepson of Kenneth (Hump Do) Honie. His father, Donald Jackson, and his step father, Kenneth Honie, preceded him in death. Donald graduated from James E. Groves. His very first job was at the News Journal passing out newspapers. He then went on to work at Getty Refinery & County Insulation before joining the US Navy ,where he earned the rank of E-4, Petty Officer 3rd Class Boiler Tech and was honorably discharged. Donald held numerous jobs before ending up at the University of Delaware. Donald enjoyed working, cooking, watching the Dallas Cowboys, traveling, and most importantly, spending time with his family. Who can forget his BBQ and his favorite pressure cooker? His BBQs were how he gathered family and friends together. Donald loved God with all of his heart and was never ashamed to be a witness. He has led countless people to the Lord and encouraged everyone he met. 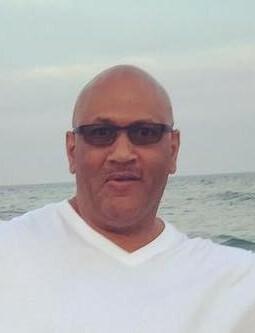 He was a faithful member at Prevailing Church International located in New Castle, Delaware, where he served as a floor lieutenant and ensuring that his man of God, Bishop Matthew C. Haskell, Jr., was protected. We cannot forget his loud “Amen” during services. Donald was a man of God who fought the good fight of faith without wavering. Donald married the love of his life, Cristina, on November 15, 2003. Tina, as he affectionately called her was his soul mate, best friend, and confidante. Donald and Cristina blended their family in such a unique way that it was an example to others. They enjoyed 15 years of a strong marriage that was built on extreme love for God being first. ; grandchildren, Samiyah, Ethan, and Shaun Jr.
; in-laws, Roberto “Papi” Cruz (Ivette) and Wanda Chabrier; devoted aunts and uncles, Henrietta, Butch, and Alvin; and a host of aunts, uncles, cousins, nieces, nephews, sisters-in-law, brothers-in-law and friends. Known for his infectious smile and sweet, humble spirit, Donald will truly be missed by all. To send flowers to the family of Donald Maurice Ennis, please visit our Heartfelt Sympathies Store. Mr.& Mrs Edward Lockett sent flowers to the family of Donald Maurice Ennis. I am very sorry for the loss of your love one Donald Maurice Ennis. God's word the bible assures us that billions who have died will live again on Earth by means of the Earthly Resurrection. Acts 24:15 There is going to be a resurrection of both the righteous and the unrighteous.